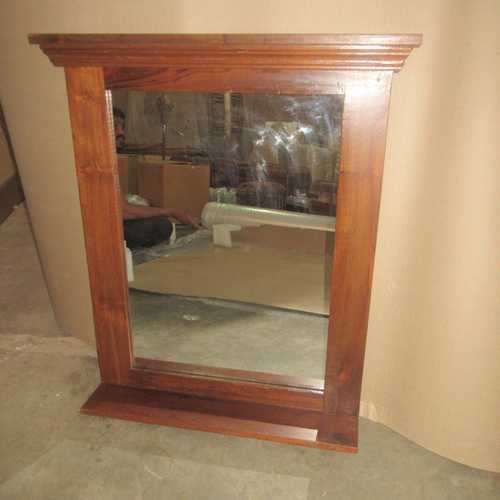 Teak mirror with shelf and decorative moulded top, finished in a medium brown stain. 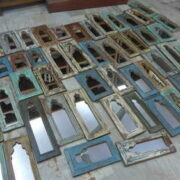 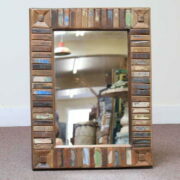 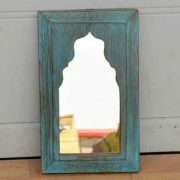 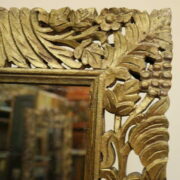 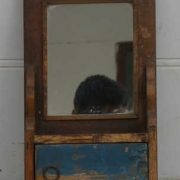 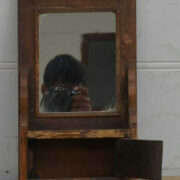 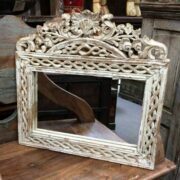 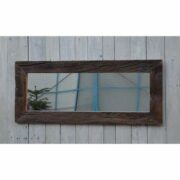 This understated mirror is fairly simple in design yet the teak used in its manufacture always has an interesting grain. Finished in a darkish, medium brown glassy stain, the grain visible on this piece stays true to the character of the timber. 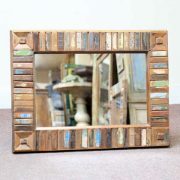 The mirror is rectangular and has a decoratively moulded top and a small shelf below, making this piece ideal for use in a bathroom or bedroom as you can store toiletries on it. 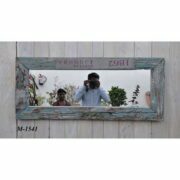 You could also use the mirrors small shelf for small plants or ornaments, lending the mirror for use in a living room, dining room or hallway.